CEDAR CITY – Reach your full personal and professional potential and meet a group of interesting visiting authors through one of Southern Utah University Community Education’s newest courses. The course, titled The APEX Experience, includes admission to presentations by four exceptional authors, meet and greet luncheons and private group book discussions. The APEX Experience begins on Tuesday and runs various dates through Nov. 6, bringing Cedar City residents culture, diversity and depth and the opportunity for personal and professional growth while adding experiential activities with some of the country’s greatest minds, including: Gustavo Arellano, Sarah Lewis, Dr. Penny Minturn and Florence Williams. For a complete schedule and registration information, click here. As a columnist for the Los Angeles Times, Gustavo Arellano’s work focuses on America’s largest minority: the Mexican culture. His nationally syndicated column “Ask a Mexican” featured Arellano answering questions about Mexican heritage and won several awards as a result. Arellano is also the recipient of awards ranging from an Impacto Award from the National Hispanic Media Coalition to being recognized by the California Latino Legislative Caucus with the Spirit Award in 2008. 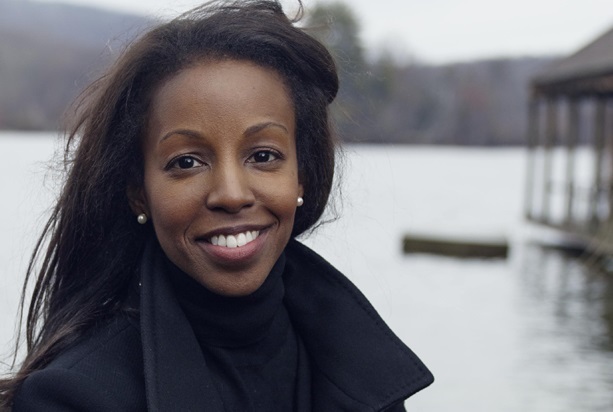 Sarah Lewis is an assistant professor at Harvard University in the department of history, art and architecture and the department of African and African American studies. Her articles on race, contemporary art and culture have been published in The New Yorker, the New York Times, the Smithsonian and The Museum of Modern Art. She authored the Los Angeles Times bestseller “The Rise: Creativity, the Gift of Failure, and the Search for Mastery,”which has been translated into seven languages and made required reading for all incoming freshman at Hofstra University and the University of Houston. When one thinks of anthropology, it usually relates to ancient civilizations and ruins. But Dr. Penny Minturn has been a forensic anthropologist for the United States military since 2011. Minturn works for the Defense POW/MIA Accounting Agency, which strives to locate and identify the remains of missing military personnel – from the Gulf War back to 1940 – and return them to their families. There are currently more than 72,000 World War II personnel missing around the world and more than 8,500 missing from the Korean and Vietnam Wars. Minturn and her staff travel the world searching for downed service personnel, burial sites and battlefields and take the remains they find to their laboratory in Hawaii and attempt to identity the owner using the latest forensic technology. Florence Williams is a journalist, bestselling author, podcaster and public speaker. She is a contributing editor at Outside Magazine and a freelance writer for the New York Times, New York Times Magazine, National Geographic and numerous other publications. As a fellow at George Washington University, her work also focuses on the environment and health. Williams’ most recent book, “The Nature Fix,” uncovers the powers of the natural world to improve health, promote reflection, innovation and ultimately strengthen our relationships. Orientation for The APEX Experience is Tuesday, Sept. 11. The cost for the 5-week course is $170. Registration can be done online here. For more information on The APEX Experience or any of the more than 30 classes being offered by SUU Community Education this fall, go the SUU Office of Community & Academic Enrichment website, call 435-865-8259 or stop by the office at 136 W. University Blvd., Suite 003, Cedar City.